Can all of your departments say the same thing about who you are? Your brand is more than websites and logos. It is the recognition of what you stand for that allows people to appreciate your message and support your mission. Let us help you define yours. AbilityOne provides essential products and services performed by people with disabilities. 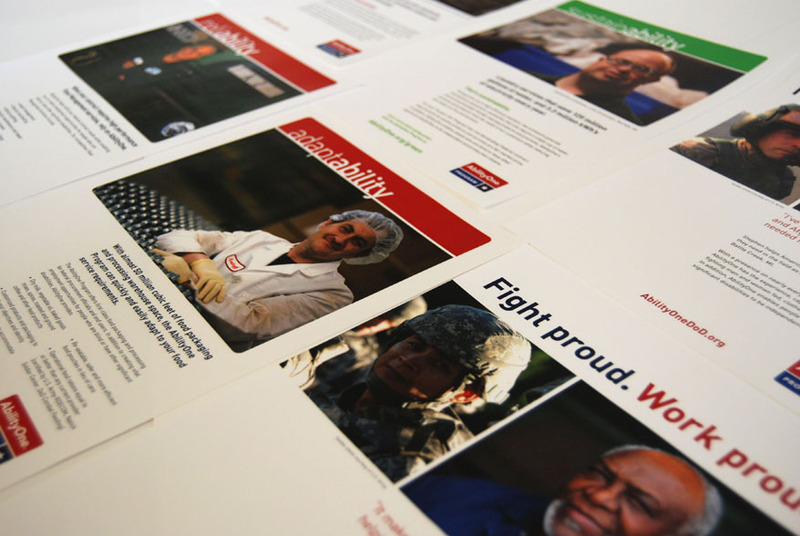 AbilityOne’s brand launch campaign was based around a central, integrated theme: focusing on the “ability” of the program’s workforce. 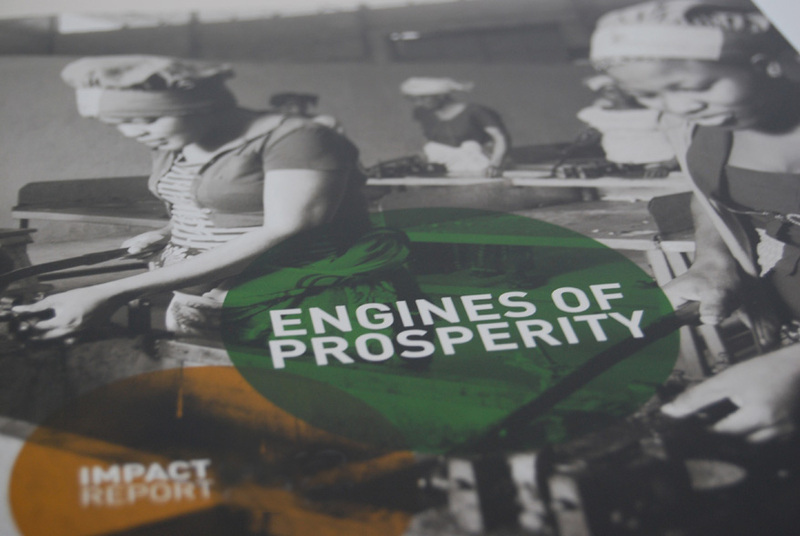 With issue areas ranging from energy, national security, and health, to governance, and economic policy, it is critical that everything published by the Bipartisan Policy Center speaks in the same voice, and looks like it came from the same place. 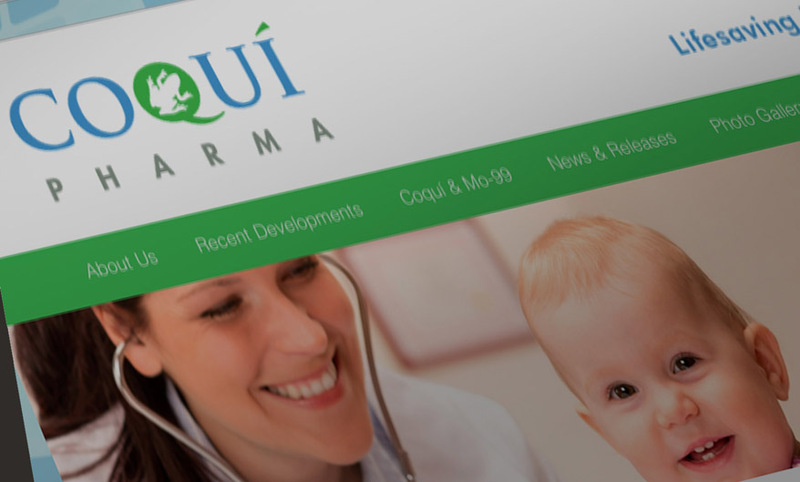 How do you brand a company in an environmentally sensitive health care industry? Humanize its message to new business prospects. How do you build a brand within a brand? 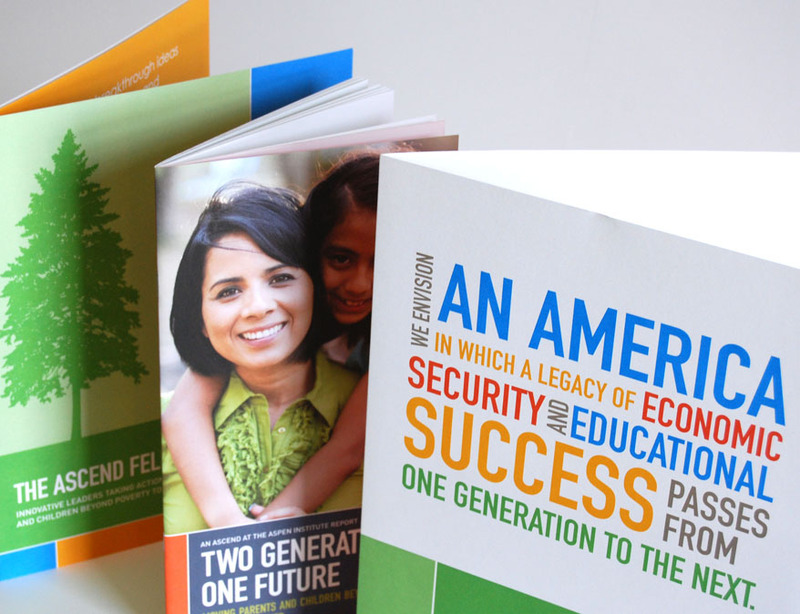 “Two Generations, One Future” is an initiative of The ASCEND Program, part of the Aspen Institute. Its identity had to fall within the Aspen Institute’s umbrella. Websites usually present the first impression for most organizations. Building sites that work the way users want them to while delivering the organization’s brand message is key. Taking a print publication online meant rethinking the content organization and building a site that made articles easy to find, share, and link to other relevant content. 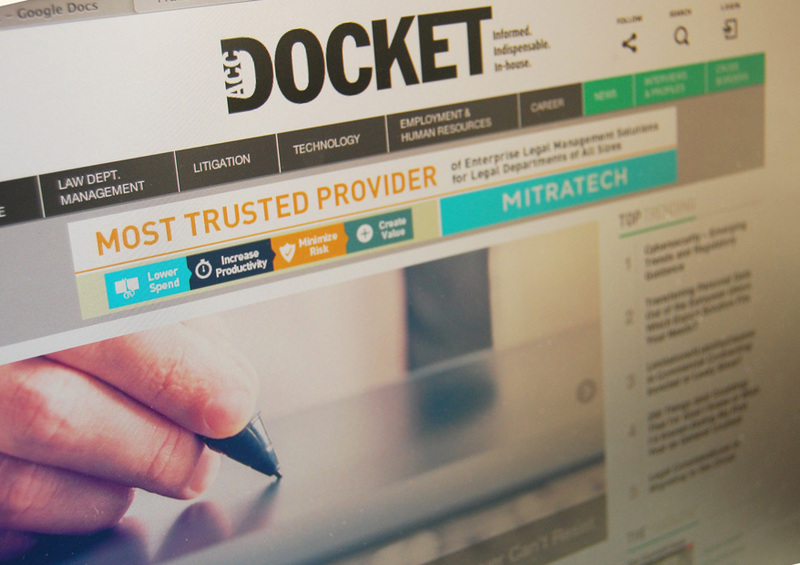 The result is a dynamic news site tailored to corporate counsel around the world. 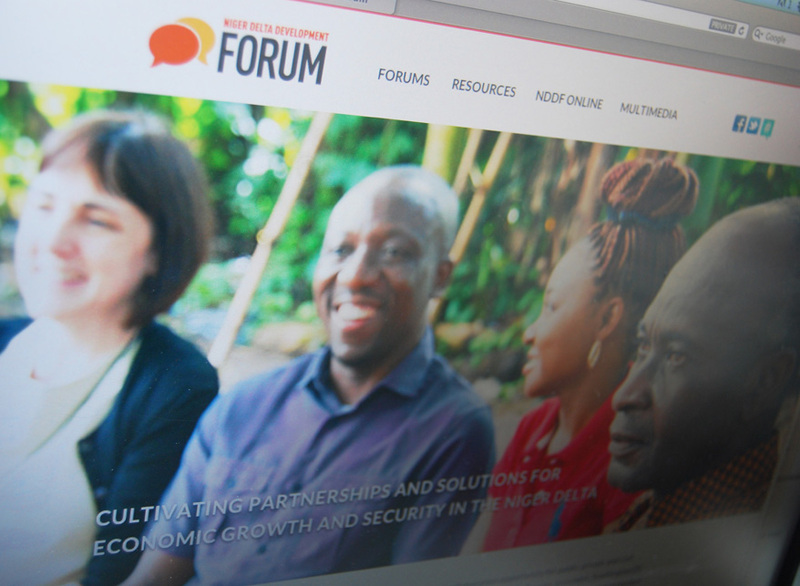 How do you design a website that directly results in a $1.5 million grant? 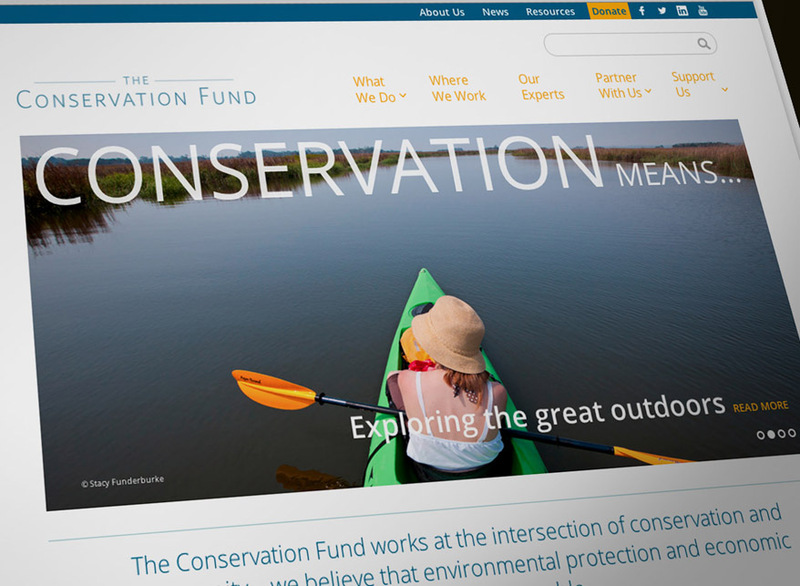 The Conservation Fund saves the places that matter most. The site was designed from the ground up to let users take their own journey through the site, visiting the places, programs and people along the way. 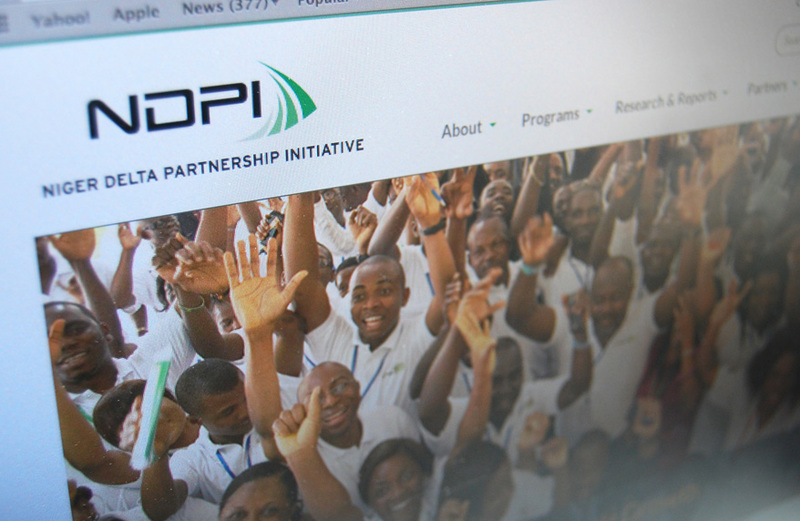 The Niger Delta Partnership Initiative is dedicated to smart development in the Niger Delta region, benefiting both the companies who invest in the area and the people who live there. The Niger Delta Development Forum is an event sponsored by NDPI to build partnerships among companies that want to do business in the Niger Delta region. The challenge for many organizations is to create campaigns that strengthen, rather than compete with their brands. 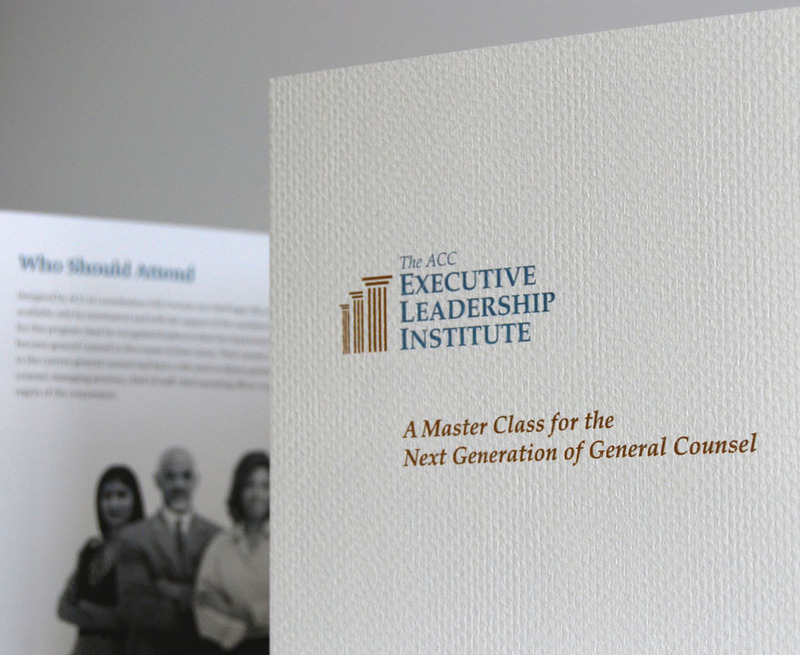 Branding for an exclusive program for the Association of Corporate counsel generated an unexpected and exceptionally high response. 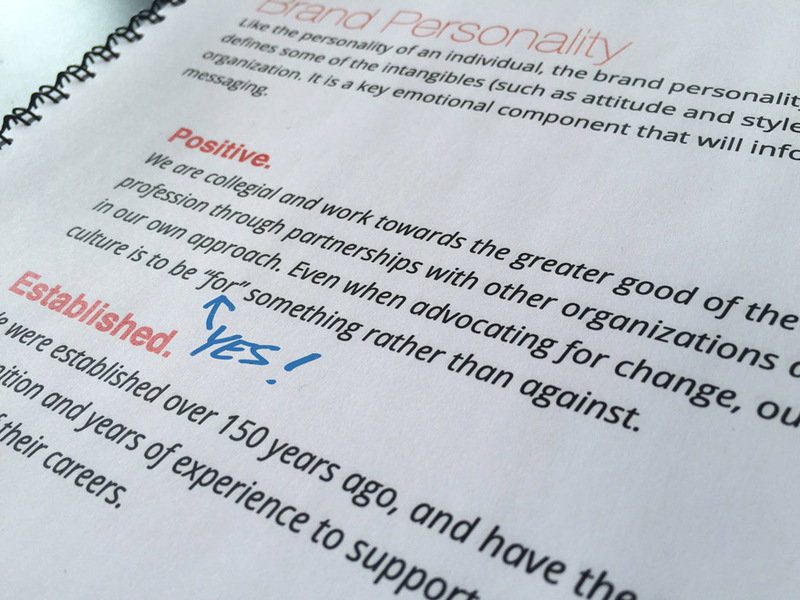 Annual reports aren’t just for pushing out financials. Savvy organizations use them as a tool for year-round marketing. 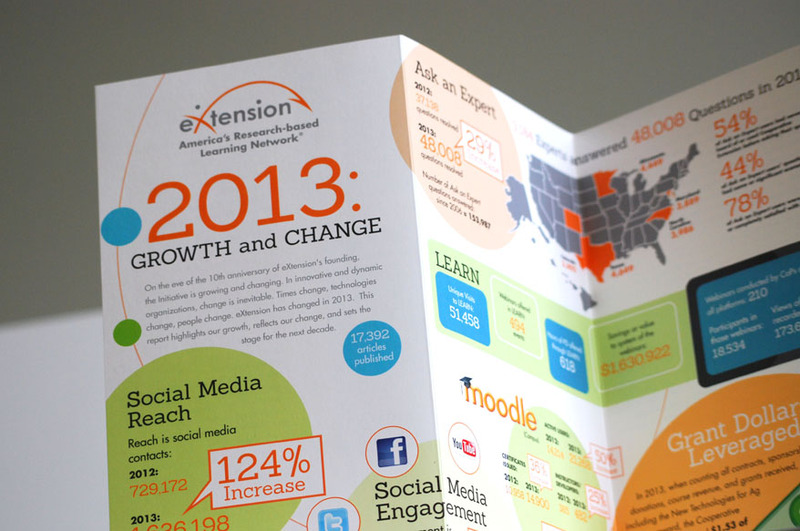 This annual report for eXtension delivers key social media engagement stats as info-graphics, in a way that people want to read. How do you report on a successful program while explaining what it is at the same time? 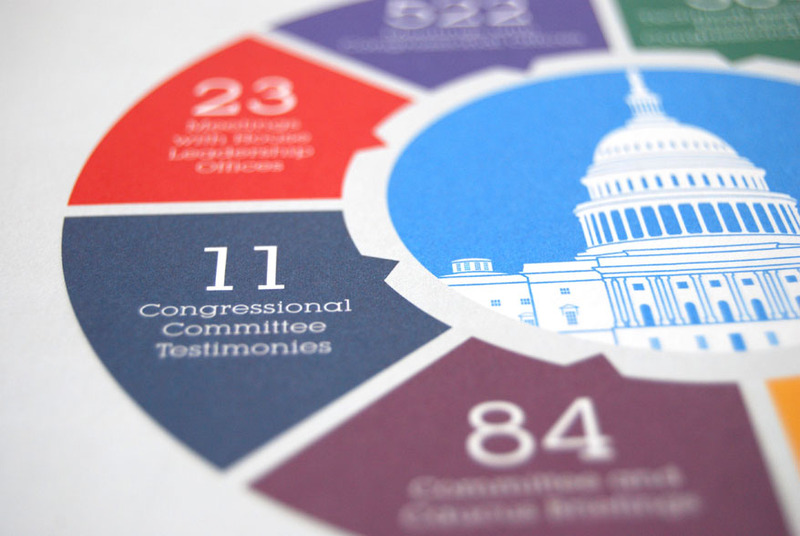 Scannable, informative and sharable — branded info-graphics are key to building a rapport with supporters. Contrary to what you may read on—and about social media, advertising is alive and well, and is often the push that drives a campaign. 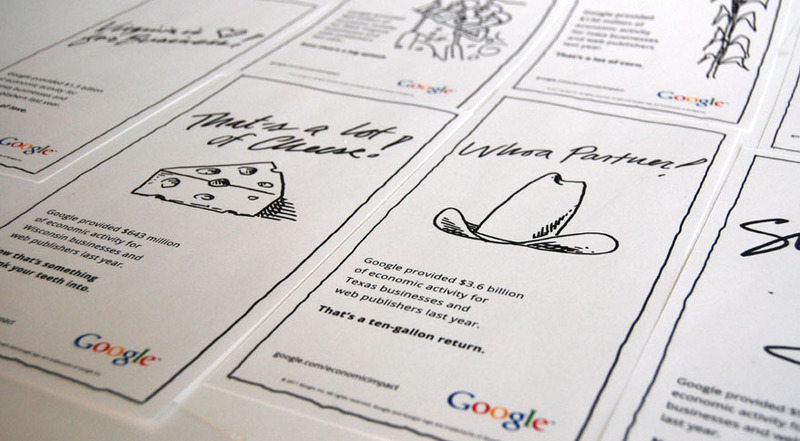 Google needed a national advertising campaign to raise awareness about the value Google brings to small businesses. This message included a specific focus on each state. Clickable, shareable, and fast. Video is one of the best ways to tell your story. How do you help raise over $500,000 to fund the rebuilding of a community park in North Las Vegas? How do you deliver a message about an environmentally friendly product that everyone can use? How do you deliver 50 facts in under two minutes? Does all your stuff look like it came from the same place?